Mere, lovely to hear you have made such terrific progress. Hope to hear soon about a road trip adventure. GE - Wonderful to hear your granddaughter has blossomed so. Bless her heart. Have family in Katy and San Antonio and have been spending much time reading weather reports the past few weeks. I do hope that everyone is okay. Daughter is in Texas now. She and hubs are attending wedding (soon), and daughter is decorating the wedding cake. She told me she was going to go to Austin and then San Marcos and then San Antonio. Of course the plans were made well before the rains, and I was worried about them. Apparently the traffic in that area is awful, but the water was not a problem on the Interstates. They are enjoying themselves..! me to use the Mederma scar cream ($25 a tube) and also to use sunscreen whenever I am out. Poor man does not realize that I will probably keloid and that the red scar will be here forever....lol. Anyhow....I do not see him again for three months. The only thing I can say is that I do not have the same stamina I had before.....but hoping to improve. GE I am so happy for your grandchildren. Please let us know how GD does in Haiti.....and GS visiting you. We never could go see anyone when we were kids as everyone lived within a few blocks of us....! Maybe that is why I love to get in the car and go....whenever I can. In fact, thinking of where the next road trip may take me. So glad to hear your good news. Enjoy your summer and all those road trips you wouldn't be taking if you hadn't had the surgery. We are planning our next road trip back out west. Going to take highway 89 from Glacier National Park all the way down to Arizona. It runs through 6 national parks from the border of Canada to the border of Mexico. Can't wait. I was really worried about my cousins in Texas. Emailed her and she finally responded a couple days later. Said they were o.k. Both her and her father live at areas near lakes but she said because they had droughts the last couple of years they both are full now but not flooding. Said that is the only thing that saved them. Green Eyes, I know you have to be so proud of your GD. In this day and age it is so refreshing to hear of young people doing so much good in this world. Hello Texas monkeys.......something working up in the Gulf.....on the Texas side....could also affect Louisiana....looks like lots of rain.....possible flooding. DD and SIL are heading home in the morning. _<br />I believe in miracles...! Bill has landed Mere. Rain and more rain. More flooding and road closures here in North Texas. But pretty much from the gulf all the way up the state. We have had about 5 inches of rain since last night. Wish we could send some to you out in California Klaas. Not so much so fast, I would be afraid that all the burnt out hill sides would slide down. We (humans) need to find a good way to capture excess water and distribute in areas that need it, like California. for real klaas . . . Your words mirrored hubby's while he was watching a program yesterday regarding the California drought. It has always puzzled me why desalinization plants were never set up and piped the water to areas like oil and gas are. Its a shame that water has got to the issue like it is in CA. There are many reasons. The whole Global warming nonsense is a myth. That has nothing to do with Cali's issues. Farming has boomed in California since the early 1900's and more and more people are living in areas that were once barren. Man needs to look at environmental policies before they need to just blame it on Global warming. In an average year, California gets enough snow and rain to put 200 million acres under a foot of water, but environmental opposition to dams over the last several decades has allowed the majority of the freshwater to flow into the ocean, even as the state’s population exploded to nearly 40 million people. The current drought has left farms parched and residents under strict water consumption orders, but some say it didn't have to be that way. But the vast majority of the state’s 1,400 dams and reservoirs, in the two massive systems and smaller ones that supply southern California, were built well before the 1980s. Environmentalists have since stopped the construction of water storage and delivery systems through legal and political actions. They have also fought to ensure that captured water is released into streams and the ocean -- rather than the water delivery system -- in order to boost fish populations and dilute the salinity of the delta. Let's hope common sense one day beats environmental-wackos and their failed science and policies for all Californians sake. They are talking about building one maybe where the San Onfre Nuclear Power Plant or further north. It's quite costly from what I hear. Looks like the Gratefulness.org website is no longer. There is another site: http://www.lightingacandle.org/Lighting/intro/default May need to start all new candles for ones that were previously on the Gratefulness site. Thank You so much Klaas. 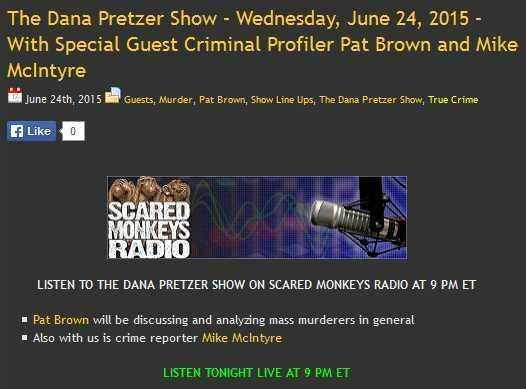 Don't miss the Dana Pretzer show at 9pm ET tonight! What a morning. Took granddaughter to work and on the way home stopped to fill the gas tank in my car. Then I couldn't find my bank card. Came home dumped my purse out going though everything no card. Starting to panic just thinking about the hassle of cancelling and changing all my accounts. Trying to remember when I used it last. Thinking I hadn't used it since the beginning of the week. When duh I used at the gas station by the house to get hubs his beer & cigs last night. So I hopped back in the car and went to the station. As soon as I walked in the young man smiled and said we were wondering when you were going to come get it. Thank you Lord. Living in a small community as it's perks. That is such a horrible feeling! Happened to me once too and luckily, I had just left it at a watch store I had been to the same day and the owner kept it safe for me. What a relief you were able to get yours back! It is a horrible feeling. I am really happy I left it there and didn't lose it. To all the Monkeys. Hope everyone has a wonderful day. 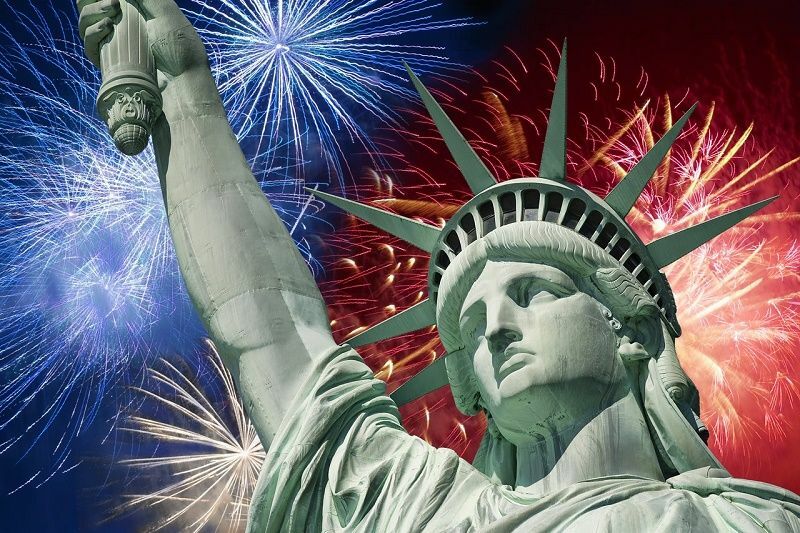 Wishing everyone a happy and safe July 4th! Hope everyone has a safe and happy 4th of July! Page created in 6.224 seconds with 20 queries.